As effective and necessary as they may be, training courses can be rather dry affairs. But that's not the case when it comes to the Manitoba Indigenous Cultural Safety Training (MICST) program being offered to staff members of the Winnipeg Regional Health Authority. Speak to anyone who has completed the training, and you'll quickly discover that they have been profoundly affected by the experience. "After completing the course, I walked away having learned a lot," says Molly Blake, Program Director of Infection Prevention & Control for the Region. "My eyes were opened, and so was my heart. There were definitely one or two times where I had to stop, pull away from the desk, and dry my eyes. It really makes you stop and think." Blake is among the more than 650 Region health-care providers who have completed the MICST program since it was first launched at the end of 2016 as part of the Region's response to the Truth and Reconciliation Commission of Canada: Calls to Action. Kandice Léonard says staff will benefit from taking the Region's cultural safety training program. Headed by Manitoba Senator Murray Sinclair, the Truth and Reconciliation Commission (TRC) was established to provide Canadians with information about the history of residential schools in Canada and the effect they had on Indigenous people. In its final report, the TRC issued 94 "calls to action" that could be taken by the broader community to help heal the wounds left by that history, including several that deal specifically with the delivery of health care. The MICST program is a direct response to recommendation No. 23 of the report, which outlines the need for health-care professionals to undergo cultural competency training. 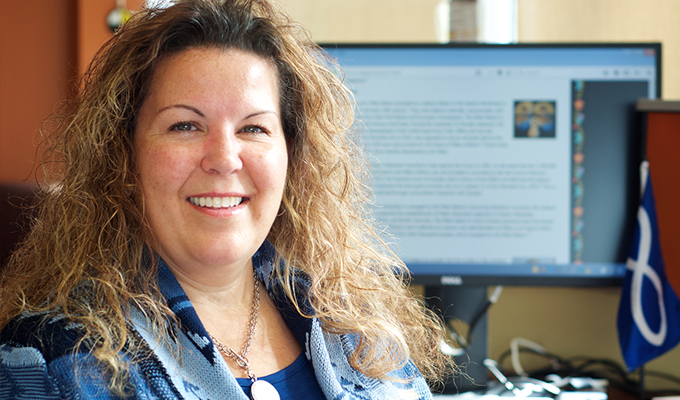 "The Region is committed to initiatives that ensure patients and their families receive respect, equitable care and dignity in every interaction," says Kandice Léonard, Regional Director of Indigenous Health for the Region. "Training and education improves our ability to provide culturally safe care for Indigenous patients and their families." Explore their own cultural assumptions, beliefs and attitudes with respect to Indigenous people. Learn about the concept of culture, as well as cultural diversity among Indigenous peoples, and the context and legacy of colonization. Gain an understanding of the health disparities of Indigenous people, including social determinants of health as they relate to Indigenous people and the importance of cultural safety in reducing health disparities. Gain an understanding of the potential role of culture and Indigenous healing in patient care. Blake says it would be impossible to work at the Region and not benefit from the cultural safety training program. "Cultural safety directly impacts our jobs, no matter what type of job we have in the Region," she says. "I don't know how you can complete this training and not have it positively impact your practice." Blake says she entered the training with empathy for Indigenous people who have experienced racism. That notwithstanding, she says she was surprised by how much she learned. "Growing up, you hear about the long history of mistreatment and racism experienced by members of the Indigenous community. You hear about the residential schools, but you don't hear about it in the sort of detail that's included in the course. It's a real eye-opener when you discover that you think you knew something when you really didn't." Blake was impressed by the history and information presented, but even more so by the real-life stories of specific people. "It makes it very personal and powerful because you're hearing it directly from people who experienced it. They are telling you, 'This is what happened to my family, my parents, my aunt, my uncle.' It makes it much more real and relatable." "This is not about shaming people for historical wrongs," Blake adds. "It's about, 'This is what the truth is, this is the reality of our history. This is what it means, and this is why you need to think when you speak and think before you act.' I really walked away having learned a lot." That's a feeling shared by Sharon Kuropatwa, Director - Housing Supports and Service Integration as well as Community Area Director of Downtown-Point Douglas for the Region, who offers a succinct evaluation of the training she received. "It is the best training I've had the opportunity to participate in," she says. "I would consider myself a very non-racist person, and I credit myself as being someone with a long history of working in the community, but some of the things I learned in the training made me think, 'Oh, wow, I didn't realize that's how things were being experienced.'" Kuropatwa says that the multi-media nature of the training does a great job of introducing participants to the concept of cultural safety, which the course material defines as expanding the concept of cultural understanding to analyze power imbalances, institutional discrimination, colonization and colonial relationships as they apply to, and impact on, service delivery. In that context, cultural safety means providing services that show respect for culture and identity, incorporate a person's needs and rights, and are free of discrimination - something Kuropatwa says is important for everyone in the Region to understand. "It's fair to say that our systems have systemic racism within them," she says. "I don't think any of us are intentionally racist, but I do think we are operating within a system that gives us some room for missteps in terms of how to work with this population. The system has a design that, because it doesn't reflect how an Indigenous population needs to have their services delivered, creates an inherent racism that is easy to fall into if you don't stop and ask yourself important questions and challenge some of your basic assumptions. And that's what this training helps you do. It gives us this eye-opening awareness of some of those moments." Kuropatwa sees a special need for this kind of training in Manitoba. "The Indigenous population - statistically speaking, one person in six in Manitoba - has been systemized. We've ensured through the residential school system and the reservation system that they are outside of the benefits of the rest of society," she says. "Over the last few years, and following the Truth and Reconciliation Commission, there's no appetite at the system level to perpetuate that." And that's where the opportunity to positively change our practices lies, she adds. "This is my community. I want it to be inclusive. I want it to reflect everybody," Kuropatwa says. "And imagine the strength and the contribution of that one in six if we can pull it together to have real opportunities and culturally relevant and appropriate ways of being and ways of knowing - I think we will all be the beneficiaries. We in the health-care system have the privileged opportunity to restore relationships and trust between ourselves and the Indigenous community. It has to be about individual practice, because that's what will eventually inform and revolutionize the system." Taking the MICST program is an important step toward that goal, she says. "What is it that I need to do, that I'm not currently doing, so that I don't run the risk of unintentionally disrespecting, re-traumatizing or triggering an Indigenous client? This training really met that mark. It provides that next important step around practice." Staff and partners of the Region are encouraged to participate in the training, but must receive approval from their manager/director in order to move forward with the training. All managers are encouraged to attend as well as identify staff that could benefit from the training and approve their participation. To download an application form, click here. 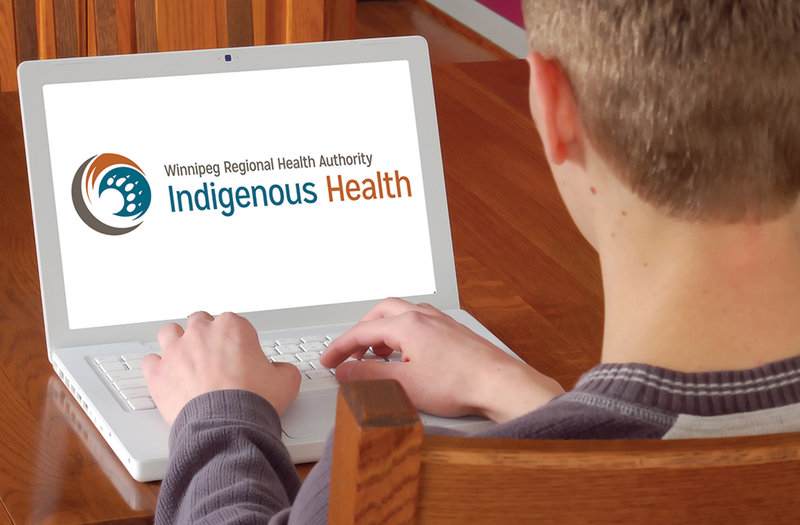 Completed forms may be emailed to IndigenousHealthMICST@wrha.mb.ca. Once received, you will be sent a confirmation with instructions for registration.